Preserve youthful, supple skin with CACI microcurrent therapy: a non-surgical solution to combat loss of muscle tone. This soothing treatment applies tiny electrical impulses to stimulate and restore integrity and elasticity. Results are visible immediately and with a course of CACI treatments your facial contours will maintain their lift and tone. To promote the natural functions of the body, including relief of tension and improved circulation, we offer reflexology as another technique for continued wellbeing. 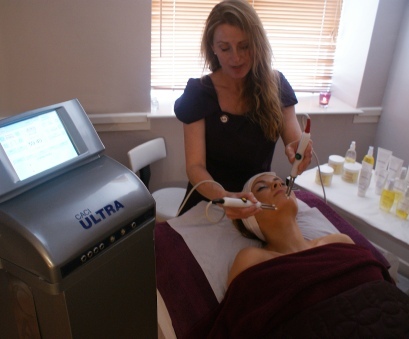 I have started having CACI facial treatments and they have been amazing. After a series of ten I now have a “top up” when I come for my hair appointment. There has been a real improvement in my facial and neck tone - so well worth the money.